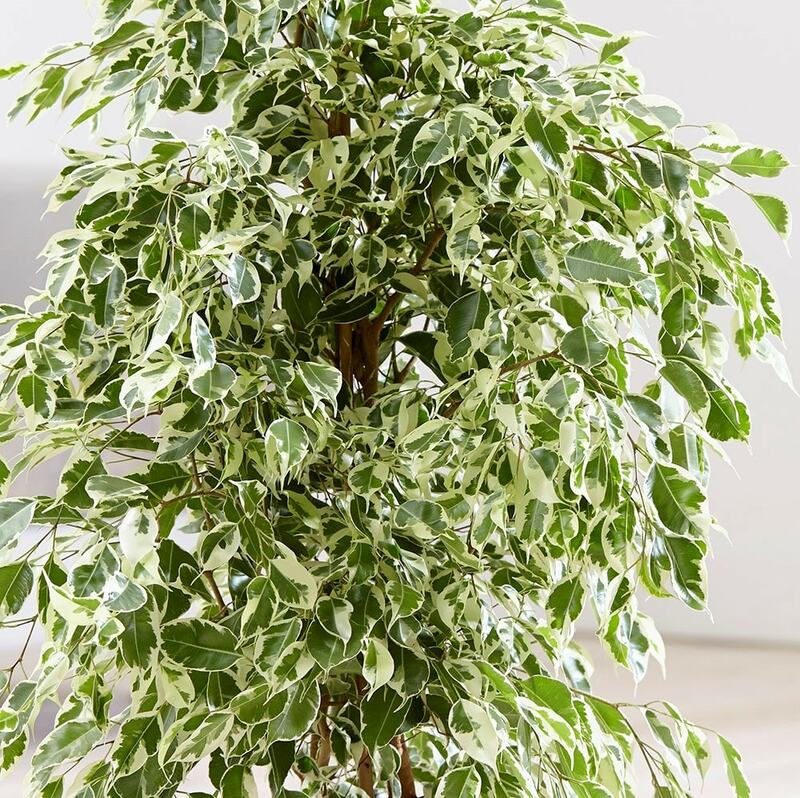 A beautifully elegant houseplant, with many glossy green and cream variegated leaves creates a gorgeous weeping plant to soften any space. 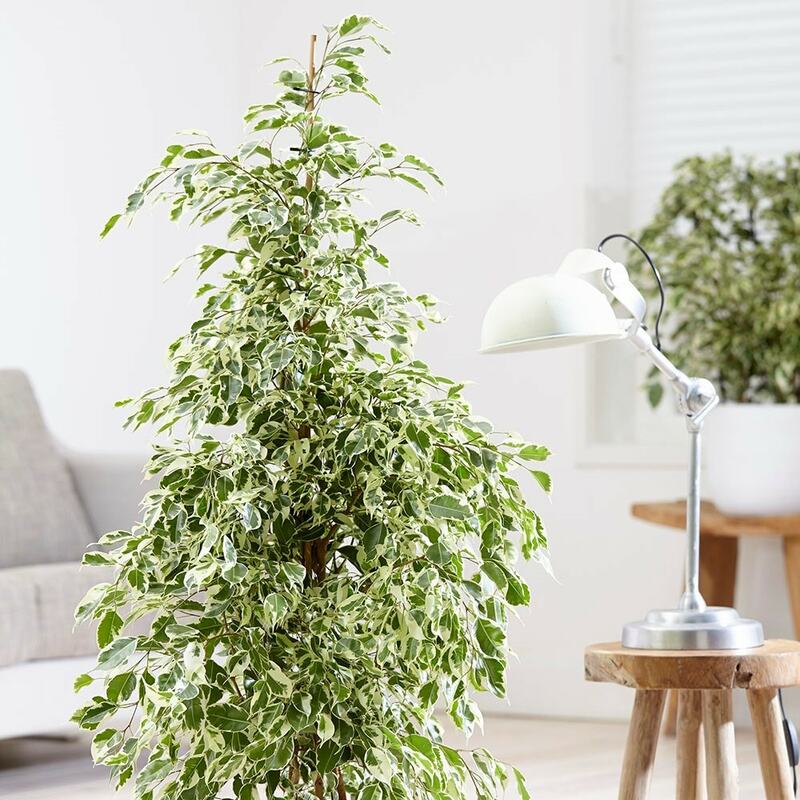 Perfect for adding life and structure to your room with the added benefit of helping to purify the air. Please note that the pot in the photograph is not supplied with the plant (which is sent out in a black plastic pot). They do however make excellent potted plants, and if you wish to pot yours up, we do have a wide range of pots on our website to choose from. Home care: It doesn't have many needs, as long as you find a bright spot away from direct sunlight, not close to a heat source like a radiator and away from any draughts it will usually be happy. Once it has the right place try not to move it as they don't like being moved around. Water with tepid water when the soil is just starting to dry out on the surface, but don't let it dry out completely. During the winter you can reduce the watering. Mist the leaves in the summer months, and feed with a liquid fertiliser during the growing season.